With bags under our eyes…we got ourselves to the airport first thing in the morning today. The flight to Ecuador was fairly quick, only a couple of hours. When we arrived in Quito, our tour guide was waiting with our name on his sign. We jumped into his car and checked into our Marriott hotel. 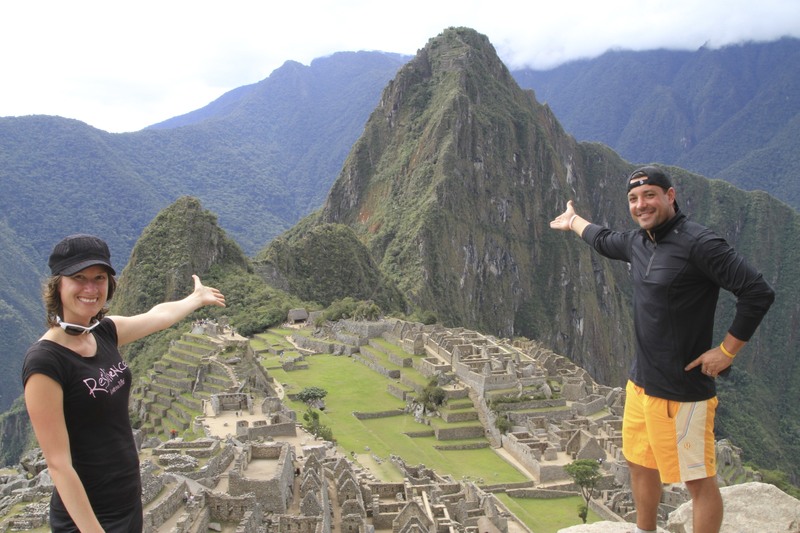 We were obviously exhausted from our 4-day Machu Picchu trek, so spent the day in the hotel. We caught up on news and the Internet since we had been detached from the world over the past week. For dinner we munched on appetizers in the lounge of the hotel and then went to bed early. Tomorrow, Giff’s mom, sister and brother-in-law will be meeting us here. Tomorrow we have the whole day to check out the city of Quito before we board our 8-day cruise to the Galapagos Islands!